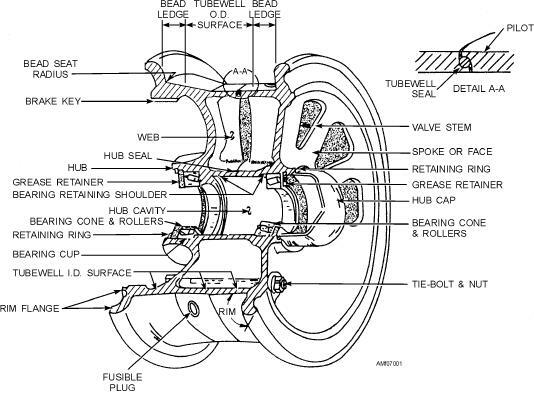 Figure 7-1.--Typical divided (split) wheel assembly. lightweight wheel that requires very little maintenance. designs make wheel buildup a fairly simple operation. flanges to prevent the tire from slipping on the wheel. a part of the wheel. Figure 7-1 shows a typical divided (split) wheel. nuts and bolts. Each wheel half is statically balanced. components of the different types of wheels. main, and tail landing gears.